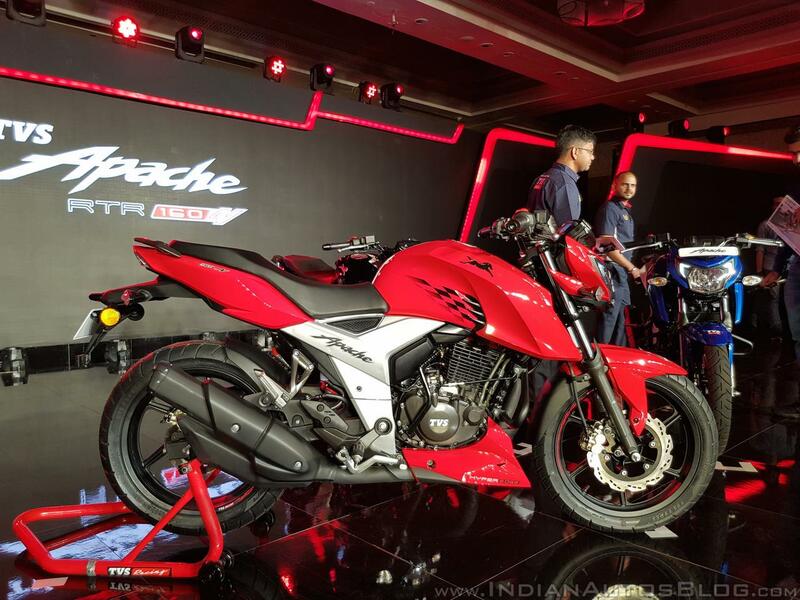 TVS Motor Company has introduced a single-channel ABS unit on the Apache RTR 160 4V in India. 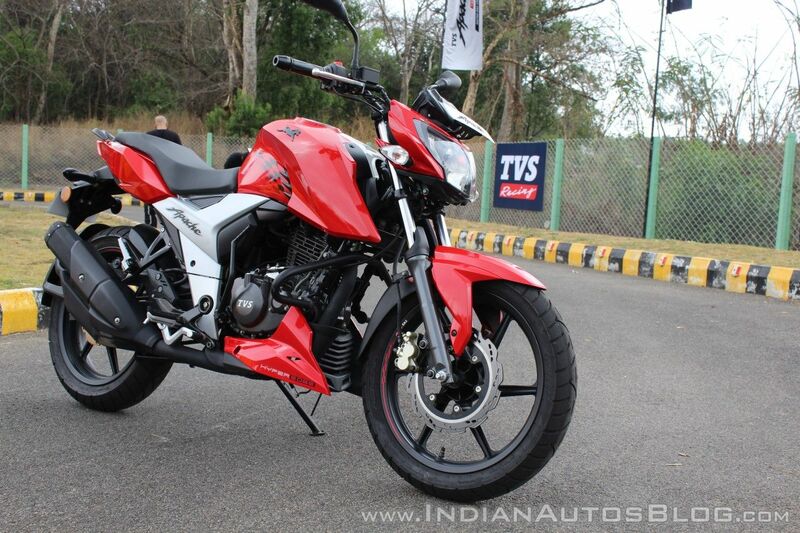 The TVS Apache RTR 160 4V ABS has been priced at INR 98,644 (ex-showroom Pune). The TVS Apache RTR 160 4V gets a single-channel ABS unit. It is priced at INR 98,644 (ex-showroom Pune). Interestingly, the TVS Apache RTR 160 4V ABS is available in only the fuel-injected variant. The company has revealed that ABS will be introduced on the carburettor variant in the next few weeks. The Apache RTR 160 4V FI ABS is INR 6,999 more expensive than the non-ABS version. That said, we expect the carburetted single-channel ABS variant to cost not more than INR 5,000 higher. Apart from the addition of the ABS unit, the TVS Apache RTR 160 4V remains unchanged. The motorcycle is powered by a 159 cc 4-valve oil-cooled, single-cylinder engine that is mated to a five-speed gearbox. The motor churns out 16.6 bhp of power on the fuel-injected version, while the carburetted model makes 16.2 bhp. That said, the torque figures are the same in both the variants. The TVS Apache RTR 160 4V competes with the likes of Suzuki Gixxer, Bajaj Pulsar NS160, Honda X-Blade and the Yamaha FZ V3.0. Braking performance is aided by a front disc brake and a rear disc/drum setup based on the variant. The TVS Apache RTR 160 4V is the most powerful motorcycle in its segment. A rear disc brake is optional in the carburetted variant, while in the FI variant, it is standard. Furthermore, the rear tyre sizes also differ based on the variants. The carburetted variant is equipped with a 110 mm rear tyre, while the FI model features a 130 mm tubeless tyre at the back.